September 12, Fineko/abc.az. Nar continues presenting advantageous offers for subscribers in roaming. 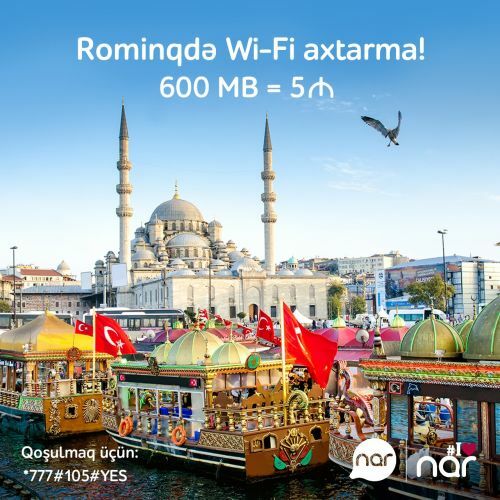 Nar subscribers who visit Turkey have the ability to use the Vacation internet packages, provided at attractive prices. To use the offer, subscribers need to activate one of the Vacationpackage when travelling.